Though the current political situation in Palestine is more serious than ever, contemporary Palestinian art and film is becoming, paradoxically, increasingly funny.In Laughter in Occupied Palestine, Chrisoula Lionis analyses both the impetus behind this shift toward laughter and its consequences, arguing that laughter comes as a response to political uncertainty and the decline in nationalist hope. 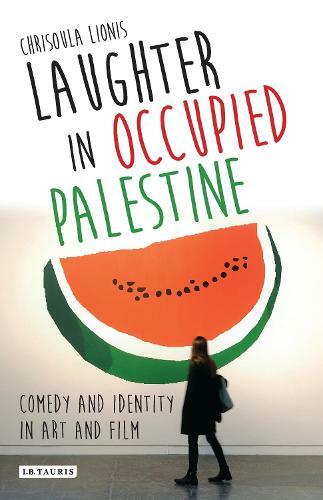 Revealing the crucial role of laughter in responding to the failure of the peace process and ongoing occupation, she unearths the potential of humour to facilitate understanding and empathy in a time of division. This is the first book to provide a combined overview of Palestinian art and film, showing the ways in which both art forms have developed in response to critical moments in Palestinian history over the last century. These key moments, Lionis argues, have radically transformed contemporary Palestinian collective identity and in turn Palestinian cultural output. Mapping these critical junctions - beginning with the Balfour Declaration of 1917 to the Oslo Accords in 1993 - she explores the historical trajectory of Palestinian art and film, and explains how to the failure of the peace process has led to the present proliferation of humour in Palestinian visual culture.